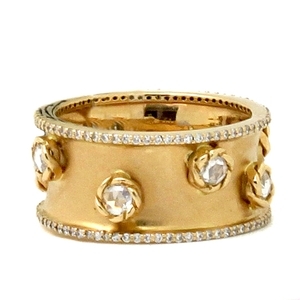 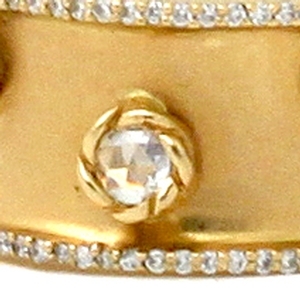 Wide Yellow Gold Band With Diamonds at Reliable Gold in Providence, RI Reliable Gold Ltd. Smooth 18K yellow gold is the basis for the beautiful diamond band with rose cut diamonds in twisted bezels and round diamond top and bottom edges. 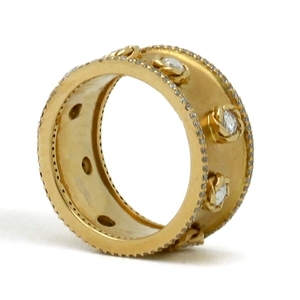 Approximately .85 carats of diamonds total weight.